A business development dynamo who identifies and synergizes opportunities that benefit clients in the federal space, Dustin Harman is an analytical leader who fuses prudent insights with a strategic, disciplined approach. A wizard at connecting the dots for customer initiatives, Dustin develops a vision for a task, goal or challenge, identifies the right people and technologies best suited for the mission, and then tracks progress to ensure outstanding outcomes. Esteemed as a personable, customer-focused problem-solver, Dustin engages a vast network of government and industry contacts to advance strategic initiatives. He earns the trust of leaders in government, health and the IT industry by cultivating and maintaining strong relationships, and by formulating and implementing solutions. Simultaneously, he adroitly manages client and partner relationships while empowering diverse teams to accomplish superior results. Applying best practices, tools and techniques, Dustin demonstrates finesse in managing business development life cycle processes, from business planning, capture management and proposal development to fully integrated enterprise-wide pipeline management. 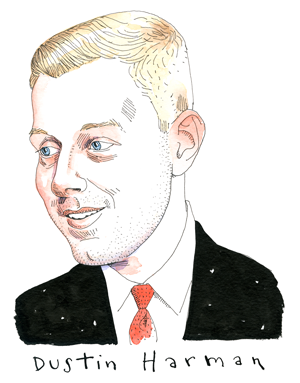 Drawing from his strong background in finance and five years of real-world experience working with government contractors and financial institutions—during which he has excelled in business management and corporate finance—Dustin possesses a flair for quantitative analysis to evaluate and forecast success. Dustin’s experience in government contracting yields a more robust understanding of public and private sector interaction. Customers, partners and teams know they can rely on Dustin to deliver thorough, effective solutions for every endeavor. Focusing on preparation and organization, he assesses requirements and develops strategic plans to increase efficiency and mitigate risk. A firm believer in the necessity of collaboration to create more open, dynamic and professional environments, Dustin likewise understands how relationships are a driving force in creating the synergy required to solve large-scale challenges. Taking on key roles and serving as a liaison between team members and project stakeholders, he provides astute leadership across multiple industries and fields.